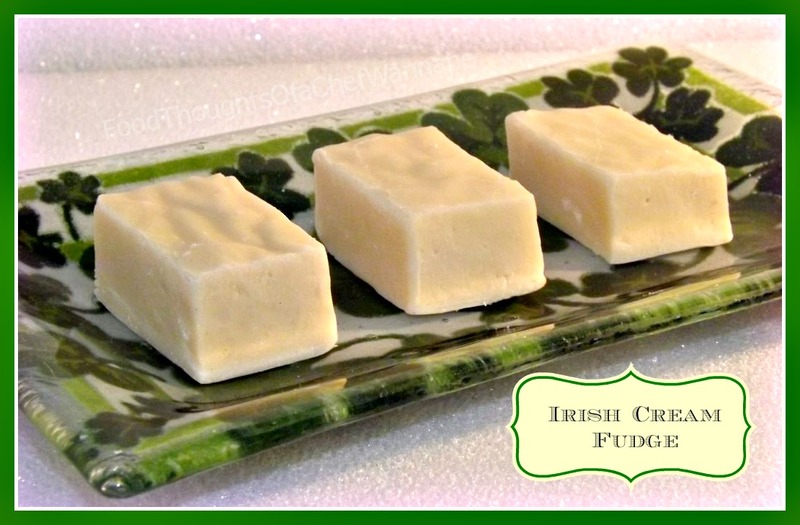 I am part Irish, so, this recipe was not only necessary, it was MANDATORY! With the subtle but awesome flavor of Irish cream in the background, it will be mandatory for you too!! This recipe was a complete fail the first time I made it. Like, big, fat, hairy, FAIL. Not pretty in the least. Then as I decided I could salvage it for icing on a cake, BAM the dog literally sticks his paw in it, trying to paw my arm while I was bent over getting the pan out of the fridge. Yes, I did say "salvage it for icing". It was sad. Since St. Patricks Day falls on a Sunday this year, I am guessing many of you will be either celebrating Saturday night OR, calling out of work on Monday? Green beer people, it does a body good! So does red beer, which is an entirely different post. What are your St. Patricks Day traditions? Isn't it funny how so many of us corned beef and cabbage and that is a completely American "thing" for St. Patty's Day? I don't care, I LOVE it and you can bet I am picking up a couple of extra's for the freezer to eat later, when I need to relive my corned beef dreams down the road! St. Patty's Day, is a special day for our family as well. My sister..........Patty.....(my parents ROCK don't they?) was born! Wishing you a wonderful birthday Patty!! She is older than I am, but that's right, everyone in my family is OLDER than I am. Just makes me giddy with happiness! Enjoy your St. patricks Day friends!! Prepare an 8x8 or 9x9 baking dish by lining it with parchment paper on the bottom, leaving the paper longer than needed so you can lift the fudge easily out of the pan when it is ready to serve. Spray with a light coat of nonstick cooking spray as well. On low heat, add all ingredients into a medium saucepan. Stir continuously until all of the white chocolate chips are melted. Pour into the prepared pan, smooth so it is even. Refrigerate until set and hard. Use the long sides of the parchment to lift it out and easily cut into serving pieces. Couldn't be easier could it?! It will be a hit. There is just enough Irish cream flavor to rock your socks off but not over powering! Most definitely trying this. Love anything Irish cream! I'm making this on Sunday..... I'm going to add a layer of Milk Chocolate and Jameson's Irish Whiskey on top of your recipe! Thanks. Awesome!! Let me know how it turns out. If you follow me on Facebook make sure to post a photo!! Just started following you on FB... will post a picture for you. Have a wonderful weekend, new friend! LOVE it!!! Thanks so much!!! Chris! Love it!!! Great Recipe!